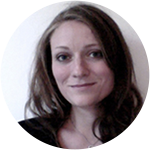 IDI has helped me take my marketing & communication background and develop it toward visual communication. I love the process of translating a scene, story or an idea into images. My preferred technique is a mixed media approach, using both traditional and digital tools. 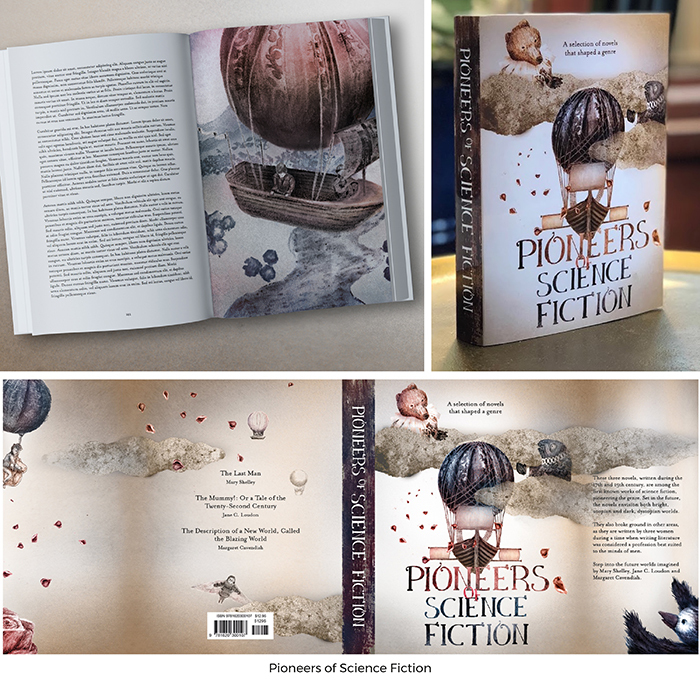 My first project is one of my own, titled Pioneers of Science Fiction. It features three novels that pioneered science fiction, under one cover. With a vintage style, I hoped to convey how extraordinary the imaginations the authors had for their particular time periods. 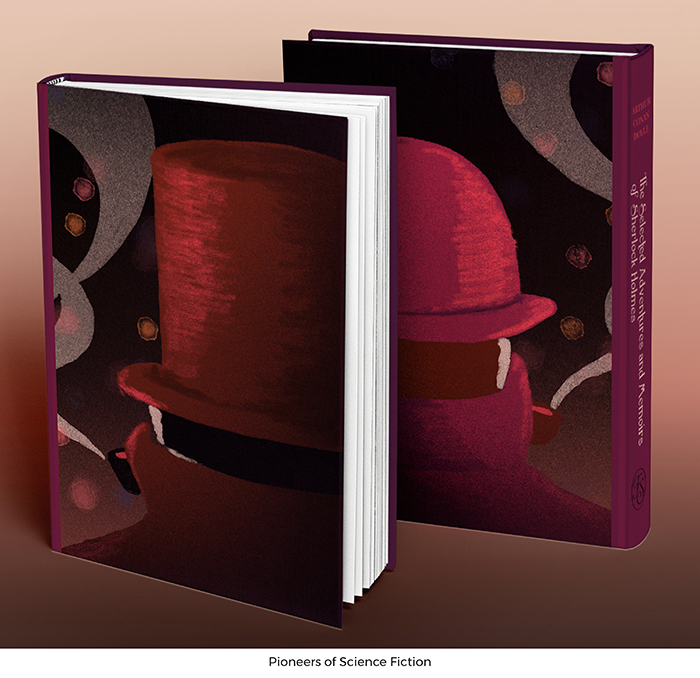 Second is my entry to the Folio Society/HOI competition, a design for The Selected Adventures and Memoirs of Sherlock Holmes. 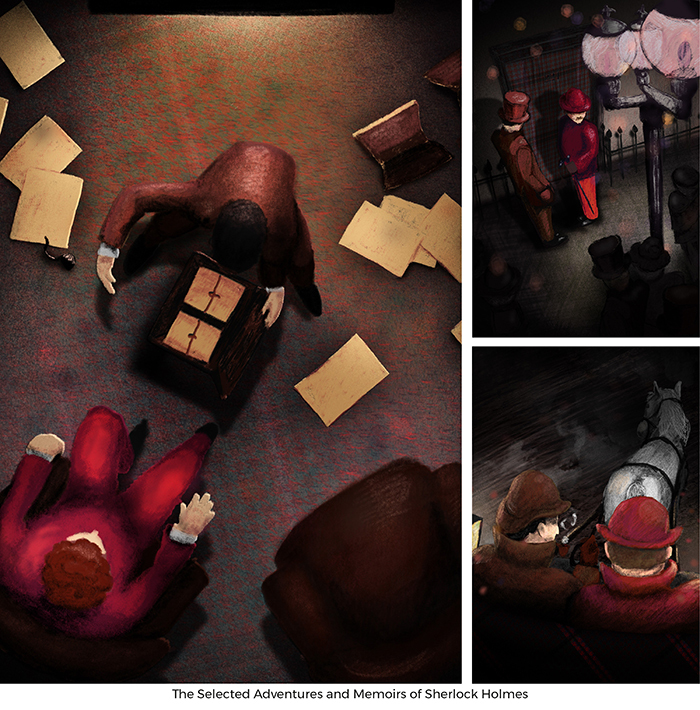 The illustrations and the cover are meant to capture and communicate the close relationship between Watson and Holmes. 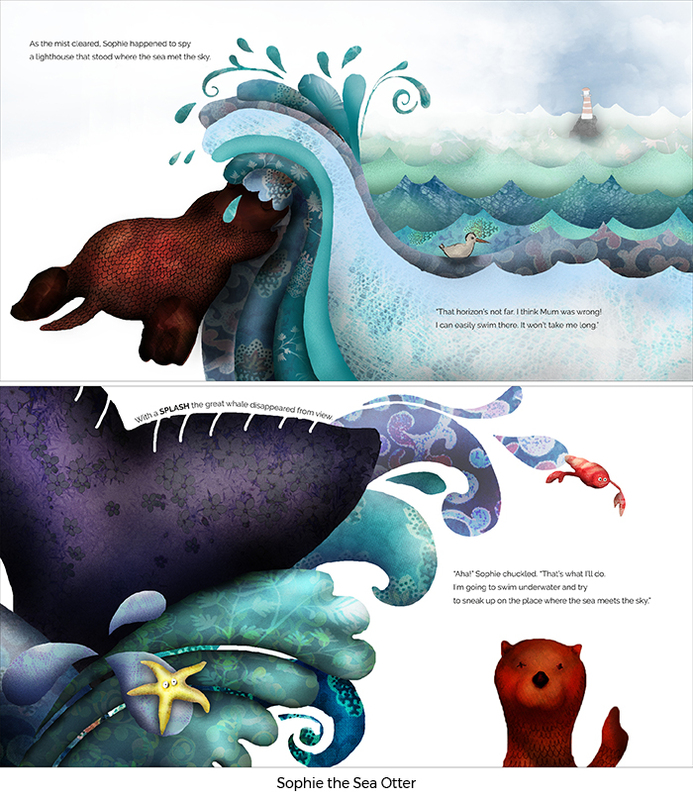 Third of all, I include my entry to the Carmelite competition, Sophie the Sea Otter. 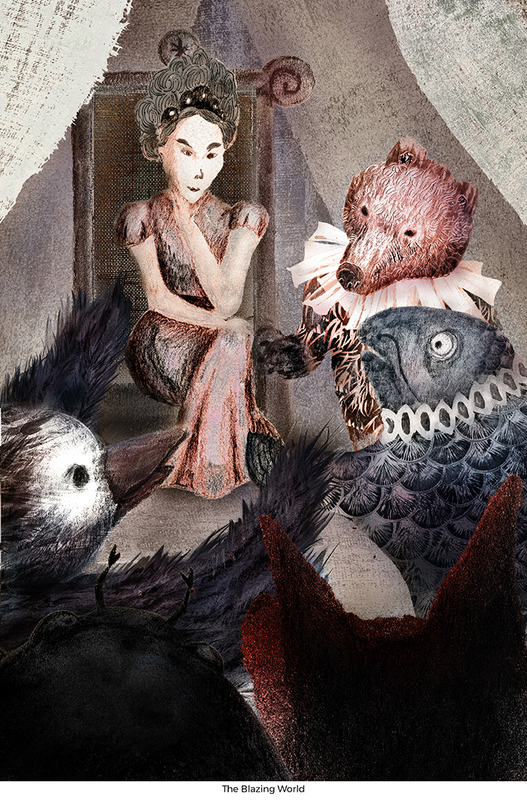 Here, the visual language is meant to be playful, curious and bold – like Sophie herself. 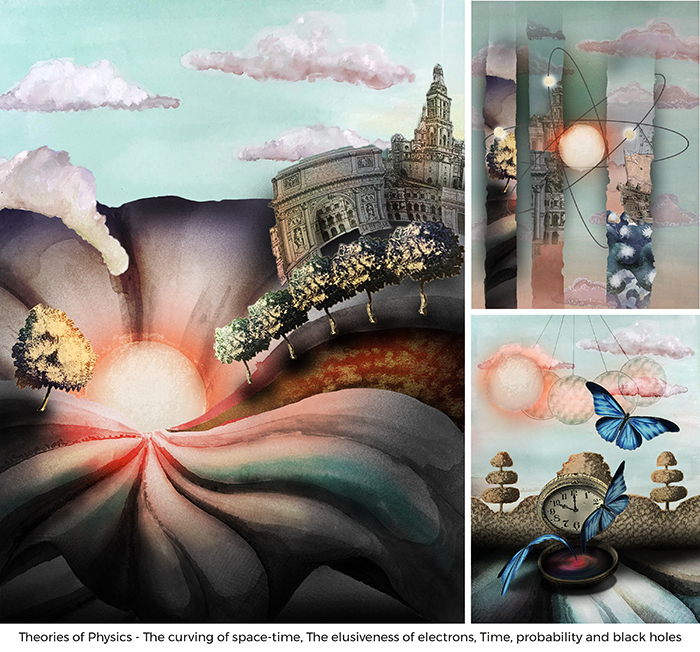 Seven Brief Lessons of Physics was one of my own projects. 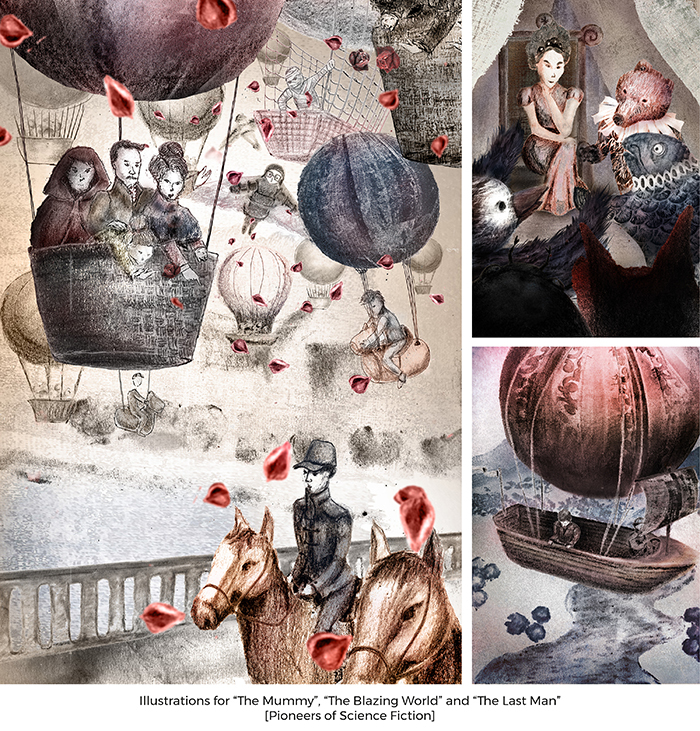 These illustrations are inspired by Carlo Rovelli’s book. 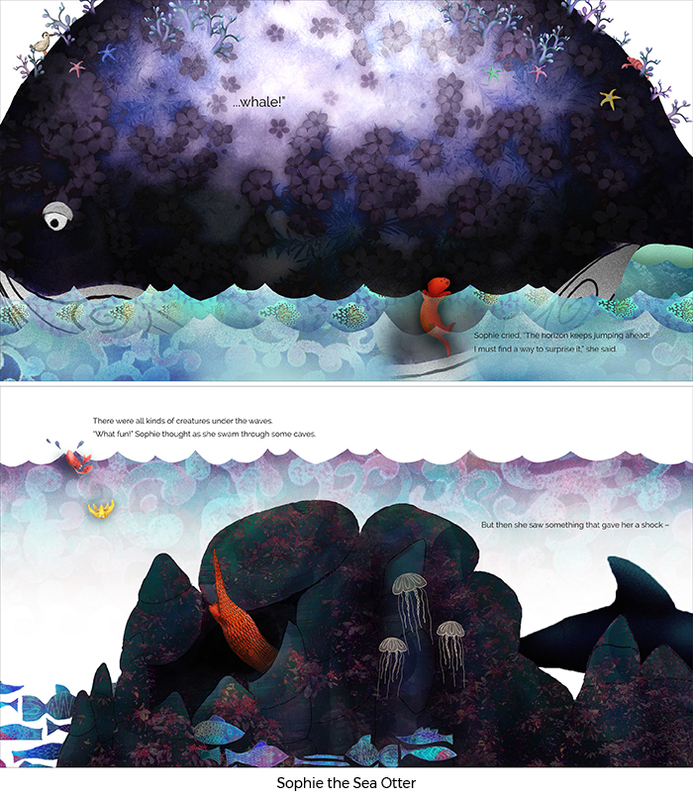 The challenge here was to translate abstract ideas into visual images. 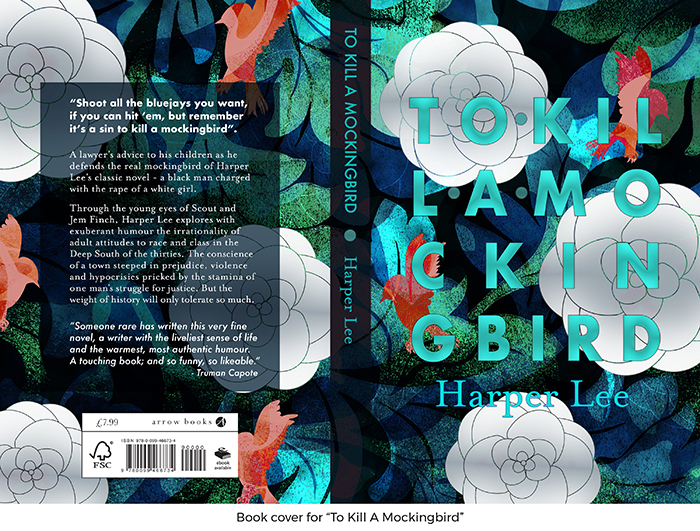 My final piece in the degree show is a cover design for To Kill a Mockingbird which I entered into the Penguin Random House competition. A rich, layered pattern that represents the narratives depth and complexity. The white camellia represents both courage and racism, two themes that together drive the story forward.